Fresh Floor Kitchen and Bath has been providing high quality kitchen, bathroom and floor remodeling solutions to South Florida since 1996. From basic to complex remodeling and renovation projects, At Fresh Floor Kitchen and Bath, we believe that “Every Detail Counts”. Our commitment to details and customer service is what has helped us build a reputation of quality and value. As a family company, we take pride in pleasing our clients and strive to do so in every aspect of the project. Time has given us the opportunity to perfect our skills. Our staff has the experience and resources to deliver outstanding results on every job that we perform. Our philosophy is relationships. Without relationships there is no trust and without trust we won't be able to help you create the environment that you have been dreaming for your home. You can trust us with your remodeling job from start to finish. If you are thinking of remodeling your kitchen, bathroom or floors, we invite you to visit our showroom and let us help you bring all of your ideas together and create a dream space in your home. BEST OF HOUZZ 2014-2019 - We believe that every client deserves to live in a beautiful, comfortable, one-of-a-kind residence that is affordably designed around what inspires them. Whether you are decorating one room or furnishing your entire home, we are here to assist you with realizing your vision by listening, by asking questions, by offering advice and then by putting together comprehensive and unique design plans especially for you! Wendi Mannix, Owner/Principal, personally designs and manages all of our projects and collaborates directly with each and every client throughout the entire process, bringing her extensive expertise and experience to all of our interiors and ensuring that our clients receive our Best of Houzz award-winning customer service. And, unlike many other firms, we also pass along our discounts on the furnishings 100% to our clients, ensuring their budgets are maximized and oftentimes compensating for a substantial portion of our fees. We also bring to our projects an outstanding team of painters, window treatment companies, woodworkers and handymen, etc., to assist with executing our design plans on or before installation day. For a step-by-step overview of how the full-service furnishings process works, please visit The Design Process section of our website via the link above. We also provide interior styling and consulting services and if you don't live in South Florida but would like to work with us, we now provide e-design services! An Associate Member of the American Society of Interior Designers (ASID), Wendi has a BA in Art History from Wellesley College and concurrently pursued an MBA at the Sloan School of Management at MIT. Let's create an inspired interior together! We are a family owned business since 1987. All cabinetry is built in our shop from raw materials with the finest craftsmanship. With nothing prefabricated, we can guarantee the strength and durability of our product is the best in town. In addition, cabinetry can be built to any size and design, which allows us to maximize storage and meet your lifestyle needs. From the initial estimate to the final installation, your satisfaction is our number one priority. Welcome to The Home People- Where we work with every budget! Nothing replaces experience and a dedication to quality. The Home People is a South Florida based home remodeler and general contractor business with 37 years of experience in building, remodeling and repairs. The Home People are Florida’s remodelers of choice, providing all of the general contracting services you need for the home of your dreams. Whether you’re looking for a kitchen renovation, a bathroom remodel, a new room addition, or just a fresh coat of paint, The Home People have over 37 years of experience to get the job done right. At The Home People we offer many services for both commercial and residential customers. With our extensive experience in the construction industry, there is no job too big or too small for us! Contact us today for a free estimate and transform your home today! We're a Miami based residential interior design firm dedicated to designing homes with warmth, timeless style and character. Our team is available to assist with a wide range of projects from furnishing and refreshes to remodels to new construction throughout Florida and nationwide. We pride ourselves providing friendly, exceptional service to our clients. From our initial consultation to project completion, our team works closely with you, guiding you through the design process, to ensure every detail of your design is perfectly tailored to you and your space. Contact us to schedule an in-person consultation! Yolo Interiors, a full service Interior Design company, has been creating striking residential and commercial interiors for over 20 years. We have a beautifully furnished showroom featuring Yolo Interiors’ definitive sense of style. We encourage you to browse our extensive supplier library, featuring indoor and outdoor furniture, custom kitchens, lighting, wallpaper, fabrics, window treatments, area rugs and accessories. Classic Marble & Granite, Inc. provides: design, fabrication, and installation of all our products. We are confident that you will be very satisfied with the services that we offer. The combination of traditional marble and granite for less fabrication techniques and our highly skilled professionals along with the latest technology allows us to create elegant designs and finishes. With over 10 years of experience in marble and granite fabrication, we are prepared for any project, whether it is new construction or remodeling. Our marble and granite for less fabrication center is strategically located in Pompano Beach, South Florida, where our technicians work to create all sorts of custom pieces such as kitchen countertops, table tops, stairs, floor and wall tiles, bathroom vanities, shower walls, window sills, fireplaces and wet bars. 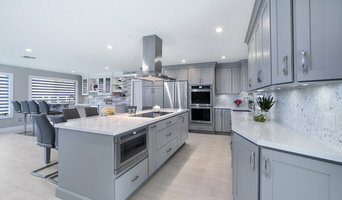 A2Z Kitchen & Bath Gallery Corp.
A to Z Kitchen and Bath is a family owned and operated business located in Pembroke Pines with over 50 years of combined experience in South Florida kitchen and bath remodels. Our customers from across Dade, Broward, and Palm Beach counties can attest to our high-quality craftsmanship and friendly service as we helped them bring their home remodel dreams to reality. 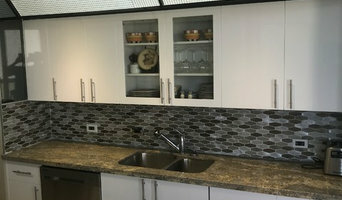 We work hard to ensure that every customer is pleased with their remodel and excited about their new kitchen and bath! While many companies only specialize in one or two aspects of remodeling, we provide comprehensive remodel services. We provide all the services and work you need without requiring you to deal with more than just one coordinator. A to Z Kitchen and Bath is passionate about brand new kitchen and bathroom renovations to make your current home magnificent. We believe this keeps the process simplified and ensures that the comfort and satisfaction of our customers remain the top priority. Let us take care of every process of your complete renovation, including: Consultations Creative Design Construction Ready to take the first step? Whether you are looking for new cabinetry or a full remodel, we can help you design and build the kitchen or bath you have always dreamed of. Visit our showroom in Pembroke Pines or call us at (754) 600-4688 for a free design consultation and estimate! At KD Construction and Consulting we understand that trust is the main component of any construction project. Integrity, intelligence and quality work in a timely manner are characteristics that have allowed countless property owners put their trust in us with their most cherished possession- their home. We give residential construction projects just as much priority and attention as we would any commercial assignment. KD Construction and Consulting has 10 years of experience transforming residential properties into spectacular dream homes. Whether you’re looking to build your home from the ground up or a total house remodel, we can make it happen. We work closely with you and your designers to make sure your vision is carried out precisely. Our project management team will plan, develop, analyze and evaluate all the aspects required during the construction phase to ensure minimal challenges and extra costs. At Captiva Design, we know what potential Buyers want. 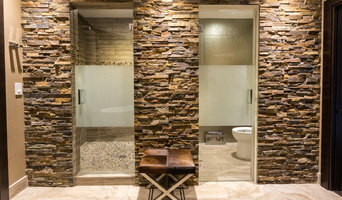 Function, flow and great design must be adequately planned when selling your home. Our Home Staging services excel at offering minimum investment for maximum profit. 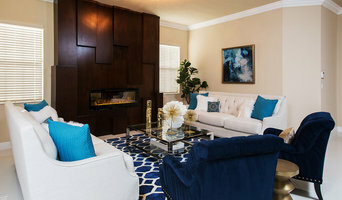 We are a full-service Home Staging and Interior Decorating company. Captiva Design offers personalized service, and quality design while building long-term client relationships. We specialize in residential, small Commercial offices & vacation home furnishings offering turn-key service to our clients. Our team of professionals can assist you with Interior Redesign, Interior/Exterior Color Consultations, Finish Material Selections, Flooring and Window Treatments. Decorating Made EZ, just call and book your Consultation appointment. We work with all styles and all budgets. No project to small. But before you start sending out dozens of emails and making phone calls, sit down and think about your project. What's your budget? What is the scope of your project? Will you need more than one type of professional to complete your home improvement project in Miramar, FL? Can you afford to complete the full project now, or should you tackle it bit by bit? Once you've settled on your project’s priorities, budget and scope, it's time to start researching Miramar, FL home design professionals. Don't sell yourself short and settle on the first professional you set your sights on. Make sure that you're working with someone local, who can get to the jobsite easily and efficiently. Look into the person’s reviews, ask to speak with former clients and to see previous jobs in person. Take a good look at their portfolio photos: How similar are these projects to your own? Be honest — that mansion might look beautiful, but it might not have a lot in common with your little bungalow. Reach out to multiple professionals — especially for larger projects — and don't settle for the first bid you hear. Comparing multiple Miramar, FL professionals' bids and experiences can help you find the one that’s best for you. Ask a lot of questions now, so you won't have unexpected answers later. Find a home design professional on Houzz. Narrow down your search by type of professional and location. Browse Miramar, FL portfolio photos, read client reviews and contact each Miramar, FL professional for more information. Check out the information in the specialized professional sections too for tips on how to hire the right professional for your project.